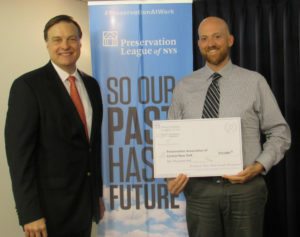 Jay DiLorenzo, president of the Preservation League of New York State, and Grant Johnson, PACNY president, at the Preserve New York award ceremony in Albany. The Preservation Association of Central New York (PACNY) received a $10,000 Preserve New York grant from the Preservation League of New York State for a reconnaissance-level survey of the Greater Westcott Neighborhood. The grant will be used to create a nomination for listing in the State and National Registers of Historic Places. PACNY’s award was among 30 grants in 21 counties. The New York State Council on the Arts, the Preservation League of New York State and the Robert David Lion Gardiner Foundation announced the recipients of the 25th round of grant funding Sept. 12 at a news conference in Albany. The Westcott Neighborhood is a streetcar suburb that illustrates urban and social changes from the late 19th through the early 20th centuries, including the rise in popularity of single detached homes. The neighborhood retains a commercial hub as well as a number of religious and civic buildings. 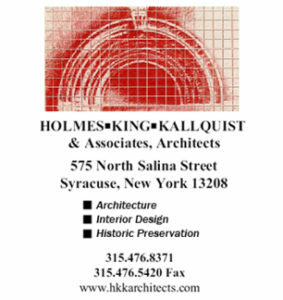 PACNY will use the $10,000 grant to hire Samuel D. Gruber and Bruce Harvey of Syracuse to complete the survey and State and National Register nominations. The University Neighborhood Preservation Association was awarded $10,800 to create a Gustav Stickley House Historic Structure Report. The 1900 house is one of the premier Arts and Crafts sites in the United States. The Greater Syracuse Land Bank won a $4,000 grant to create a Building Condition Report for the South Presbyterian Church. The vacant church at 2110 S. Salina St. dates to 1906. Its longtime congregation left in 2006, and the Land Bank will use the building condition report to provide guidance on preservation and maintenance for prospective new owners. The Village of Fayetteville received $6,341 to complete a reconnaissance-level survey of historic resources. 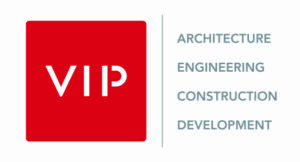 A survey will help to determine eligibility for the National Register of Historic Places, which would expand the availability of historic rehabilitation tax credits for approved repairs to older buildings.